Uglyworld #1302 - Milky Dudders (Project BIG - Image 289-365), a photo by www.bazpics.com on Flickr. 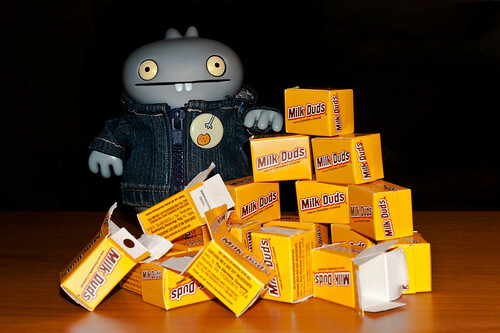 You would thinkers that I already would knows all the bestester goodies to munchers on outs here in the Pacificers Norther Westies, buts it has tookereds until todays for me to discovers the wonderfulnessers tasties of Milky Dudders! I could eats them non-stopper...!! !